My skin is definitely prone to some redness and dullness especially after winter so using color correcting products underneath my regular concealer seems like a great way to even out my skin tone. Even though I've heard of color correcting products years ago it seems like they are having its comeback recently. 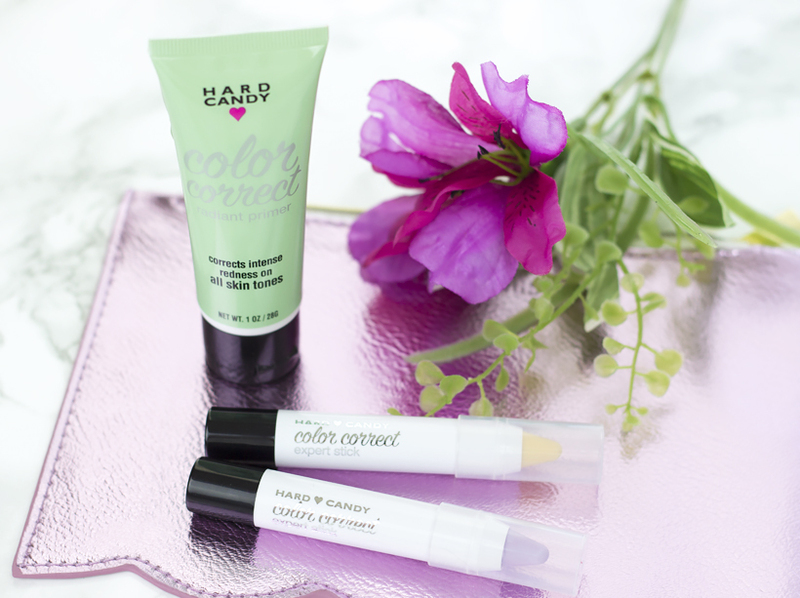 Hard Candy Color Correct limited edition collection is a very affordable line (each product cost only $5) and you can find at your local Walmart. Orange - neutralizes dark circles and spots on medium to dark skin tones. 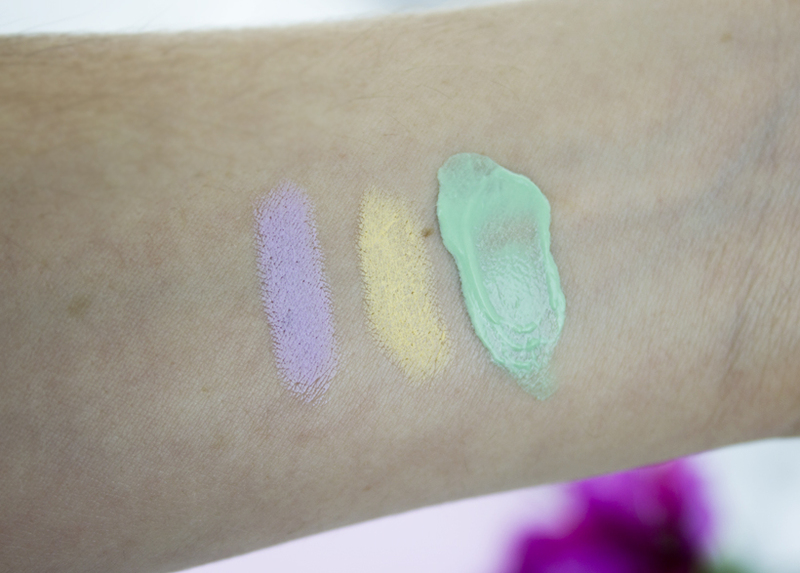 I had the opportunity to try their Color Correct Radiant Primer in shade Green as well as Color Correct Expert Sticks in Lavender and Yellow. Hard Candy Color Correct Radiant Primer has a lightweight texture with very sheer coverage and absorbs into the skin pretty quickly. I applied it before any makeup but after my daily moisturizer and I like the fact that the product didn't leave an oily residue. I didn't see much difference when it comes to results but it is a face primer so I wasn't really expecting a visible green tint or anything especially since the product itself claims to give a sheer coverage. The Color Correct Expert Sticks, on the other hand, are definitely more pigmented and have a nice creamy texture and were easy to apply and blend out. I used the yellow one on small red spots on my face and few dots of the lavender color all over my face to brighten up my complexion. Usually, after I am done with a color correcting I either continue with a concealer, then foundation etc. 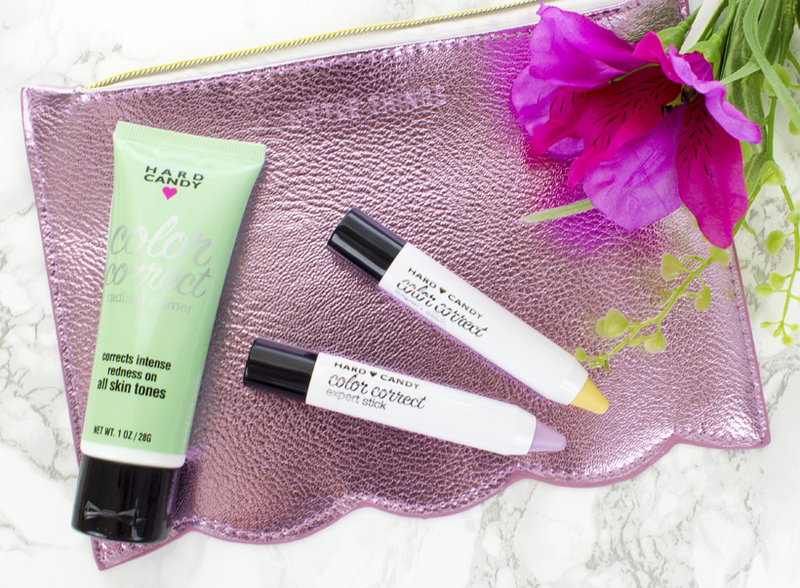 or just skip it all together and go for a lighter coverage using my regular bb/cc cream. If you would like to try Hard Candy Color Correctors make sure to enter my giveaway sponsored by the brand! Also, don't forget to check out their website for more Color Correct limited edition products information.